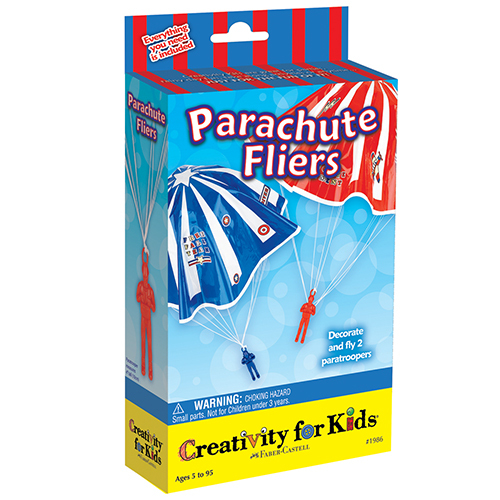 Our Parachute Fliers mini kit takes a classic toy and turns it into a craft project. 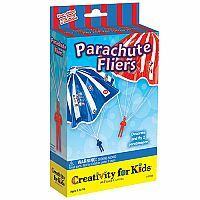 This craft kit includes 2 flying paratroopers that are ready to decorate with color-in stickers and markers. A landing target is also included!